Bradley Beal might just have had enough of John Wall’s questionable effort, Dwight Howard’s dad jokes and his teammate’s general inability to play team basketball. 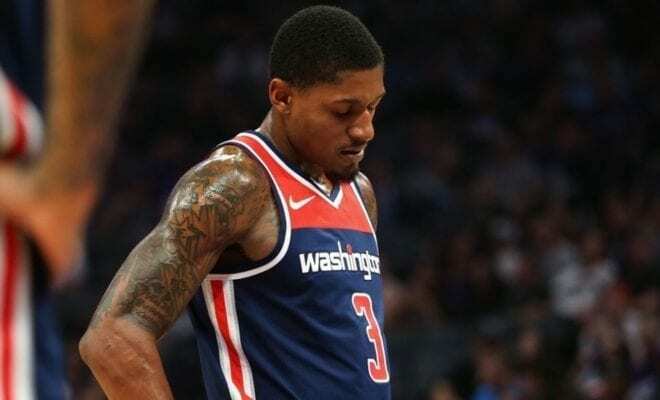 Beal wants out, according to reporter Chris Sheridan, and his claim has been backed by Bryan Oringher, a former Wizards staffer who recently defected to the media. Sheridan’s report was promptly denied by Beal’s agent Mark Bartelstein, via The Washington Post’s Candace Buckner. “That is absolutely not true,” he said. “The only sources that would know [what Brad’s thinking] are Brad and myself. This also seems like a good time to point out ESPN’s Adrian Wojnarowski reported last week that the Wizards had made everyone available for trade, including the previously unavailable Beal and Wall, after failing to generate meaningful interest in their other players. 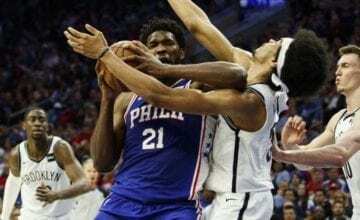 The Wizards are currently 7-12, well outside of the Eastern Conference playoff picture, and have already suffered a series of horrific blowout losses.